James K.M. 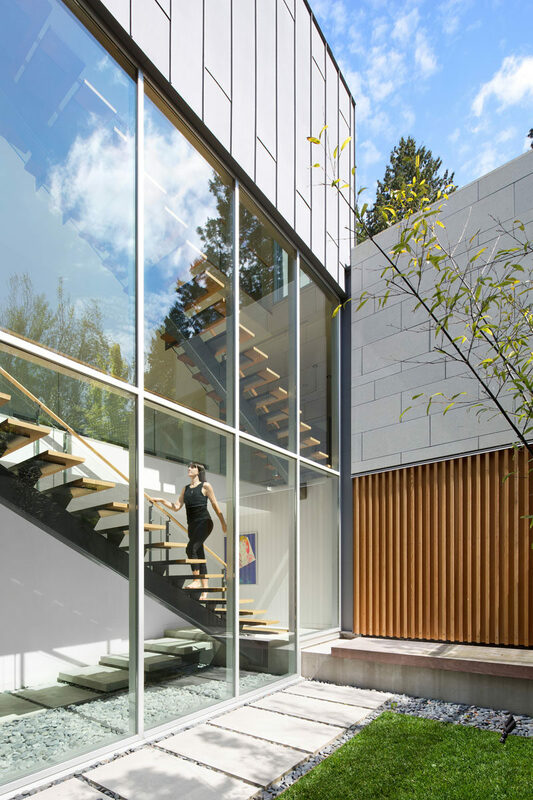 Cheng Architects have designed this house in Vancouver, Canada, that is positioned on a lot 350 feet in length and is surrounded by mature evergreen trees and high garden hedges. Garden paths and floor-to-ceiling windows and doors, makes sure that the home owners can take advantage of being surrounded by greenery. As the house is built on a long, deep lot, there’s plenty of room for a swimming pool, spa and outdoor patio with a fire bowl and lounge seating. 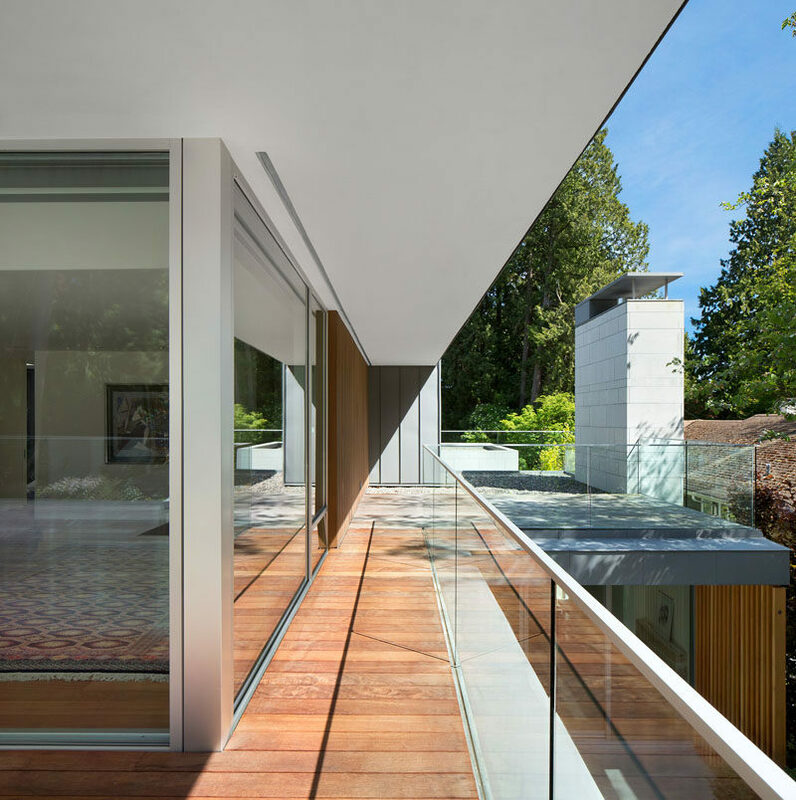 Inside, neutral colors make the space feel bright and large sliding glass doors open up the interior to the garden outside. In the kitchen there’s a built-in desk that matches the cabinetry. 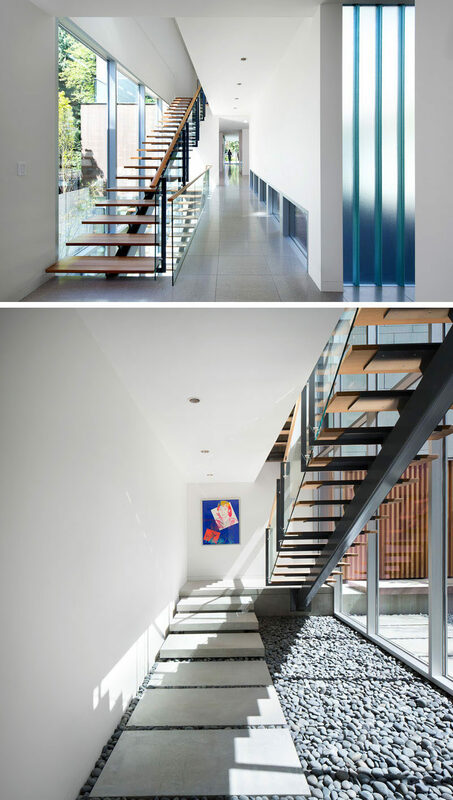 Wood and steel stairs pass by the windows and lead you to the various floors of the home. Here’s the view of the house from the outside looking at the stairs inside. 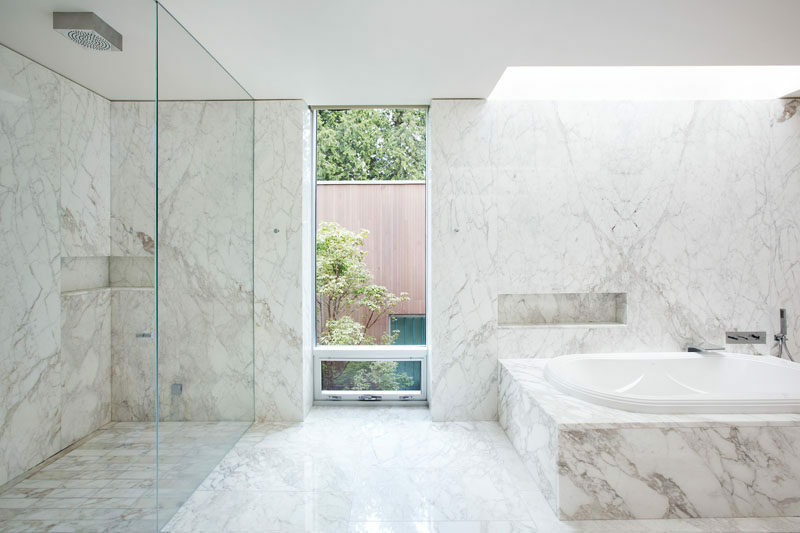 In the home’s bathroom, light colored stone has been used for the walls, flooring and bath/shower surrounds. 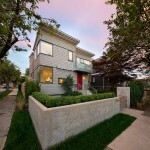 Located on the upper level of the home is a balcony that overlooks the back garden and swimming pool. 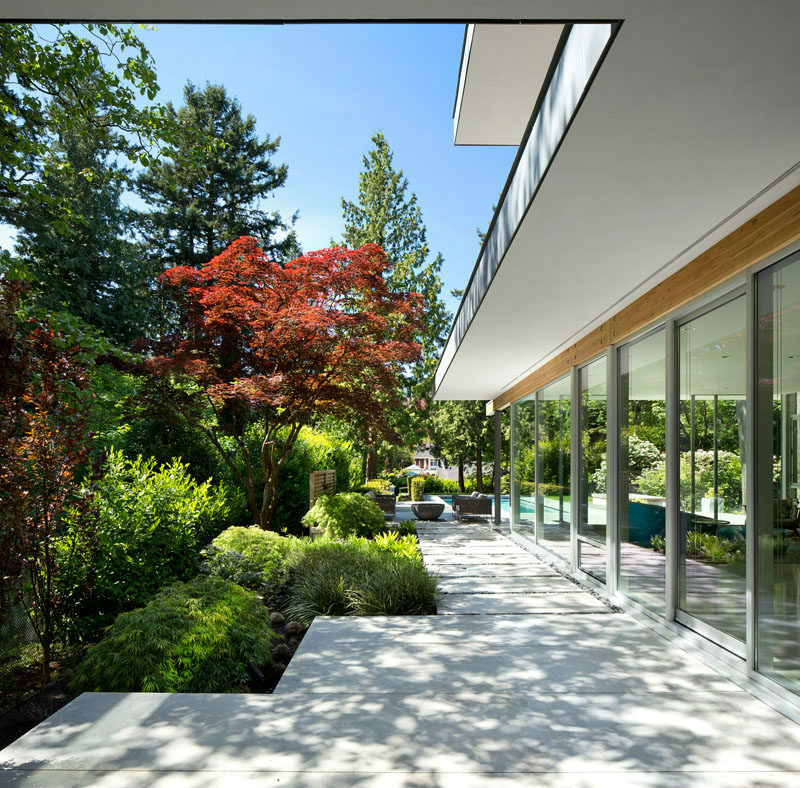 Outside, subtle landscaping allows the existing tall trees to remain dominant and frame the outdoor spaces.